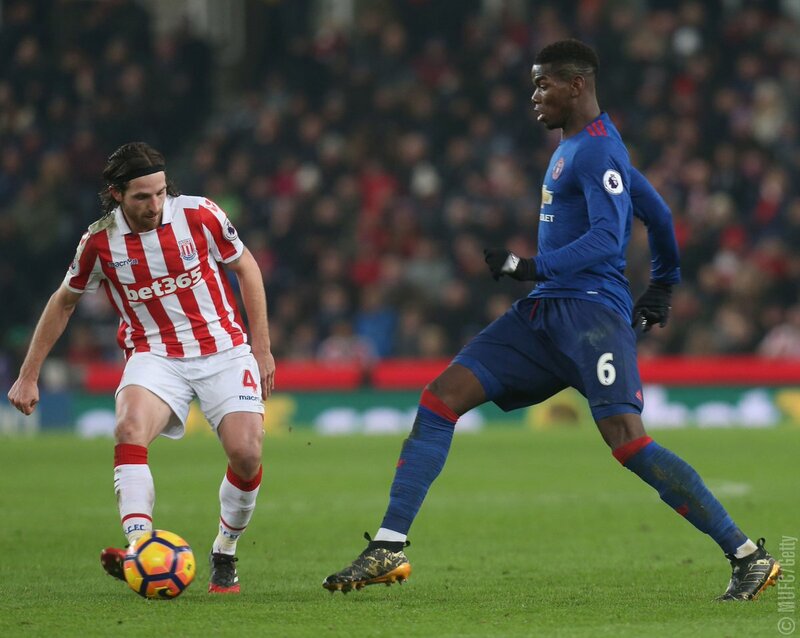 The Red Devils finally dropped points in their fourth match of the season against Stoke City at Britannia on Saturday. Manchester United came into the match as the only premier league side with a 100% perfect start in the 2017/2018 season. Stoke started well and was put in front through their summer signing, Eric Maxim Choupo-Moting in the 43rd minute. This was his first goal for the club since he joined Stoke on a free transfer from Schalke this summer. That was a first goal Man United conceded this season. Mourinho’s team has been giving a solid performance so far which is increasing the number on online bets at online casinos on the team. However, Stoke’s party didn’t last for long and three minutes later Jose Mourinho’s side leveled matters while the home fans were still celebrating. The goal resulted from a corner, in 45+1 minute Paul Pogba headed towards the Stoke’s net and it came off the back of Marcus Rashford straight into the net. Manchester United kept on pressing for the second goal to extend their winning streak. The Red Devils breakthrough came in the 57th minute. It came through their summer signing Romelu Lukaku who beat the offside trap and scored after two attempts at goal. This was the fourth goal for the Belgian in four games. Man United’s lead only lasted for six minutes. Stoke equalized in the 63rd minute through the hero of day Choupo-Moting. Both teams were determined to get a winning goal and kept on attacking. No one could find the back of the net. Man United was close to getting a winning goal but Lukaku missed a perfect chance to win the match from Antonio Valencia’s cross in the 81st minute. If you are a sports betting fan, you can visit best Australian online pokies for sports betting tips. Both teams shared the spoils with a 2-2 draw. Stoke managed to put a stop to Man United’s winning streak of the new season. The Red Devils have failed to win at Stoke since Sir Alex Ferguson’s era in 2013.